New York Times Fires Top Editor Jill Abramson - trendistic.com: ever tried. ever failed. no matter. try again. fail again. fail better. 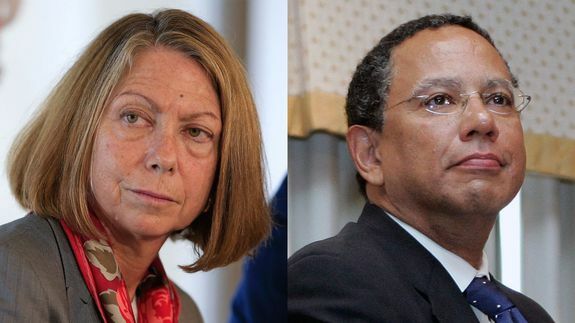 Jill Abramson was suddenly pushed out of the top editorial role of the New York Times on Wednesday. Dean Baquet, who was managing editor, immediately took over the job, becoming the first African-American to lead the publication. Abramson was named executive editor in September 2011 and was the first woman to have run the paper’s editorial side.